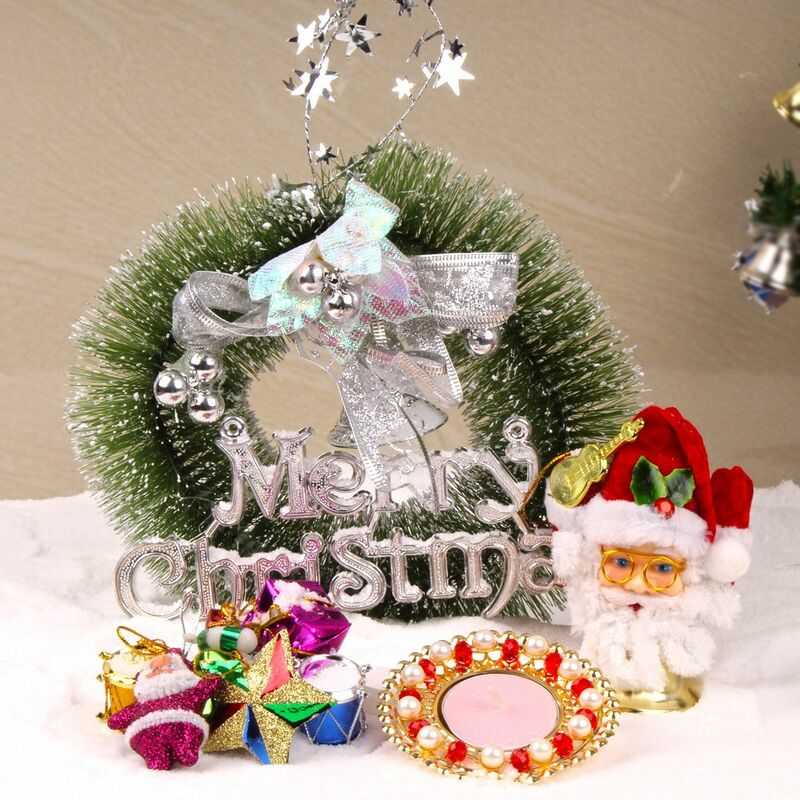 Product Consist : Green Merry Christmas Wreath along with Santa Claus face and a pearl decorative candle along with Pack of Christmas Tree Decorative Ornaments. Make your dear ones feel delighted with this mind blowing welcome on the day of Christmas festive with help of special Christmas Home decorations. 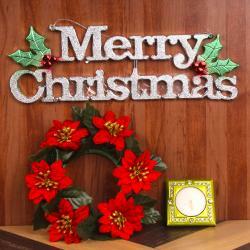 This is one of the complete decoration combo for your home decor which includes Green Merry Christmas Wreath. 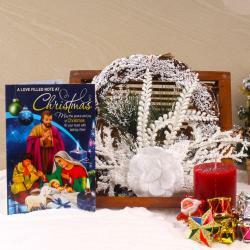 This Merry Christmas and green hanging wreath is useful for tradition decorations on Christmas festive season. This wreath team up with other decoratives like Santa Claus face with a pearl decorative candle. 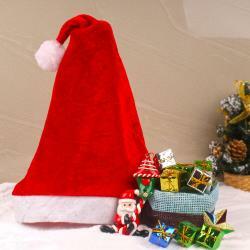 This hamper main wow factor is pack of Christmas tree decoratives ornaments. So, shop this for you and friends and we get it deliver at your door step on just one click. 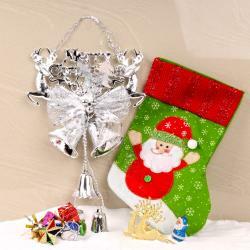 Product Consist : Green Merry Christmas Wreath along with Santa Claus face and a pearl decorative candle along with Pack of Christmas Tree Decorative Ornaments.